Dr Christine Weber-Unger, mother of the current owner, was a key figure in creating lingerie and swimwear products for women who have undergone breast surgery. She went the extra mile to learn about the needs of women with special figure situations and went on to develop special products which would help such personal circumstances. The special care bra range came about in the 60s following a case of illness within the company, which led to a colleague having to undergo breast surgery. Dr Weber-Unger began to sew fabric breast forms using simple materials which were filled with rice. The first bras containing pockets to hold breast forms were also designed at the same time. The first liquid-filled breast forms were then developed and sold at the end of the 60s. The idea of using silicon to fill a casing made from material which closely resembled the skin, thus achieving a much more natural breast form, came about in the US at the beginning of the 70s. The idea was picked up on by Dr Weber-Unger and perfected to maturity for ANITA. Breast forms and related lingerie and swimwear are still developed today, just as Dr Weber-Unger had envisaged. Special bras, swimwear and breast forms. These three fields make up the TriProVita system. All models are developed by Anita Dr. Helbig GmbH and are produced in the company‘s own works. This means that you can rely on the highest quality standards and can be confident that you will find exactly what will help you most in your current situation: support, confidence and well-being. You can only appear self-confident and relaxed if you feel happy in your own skin. Women who have undergone breast surgery require special support to pick up the threads of their former lives. 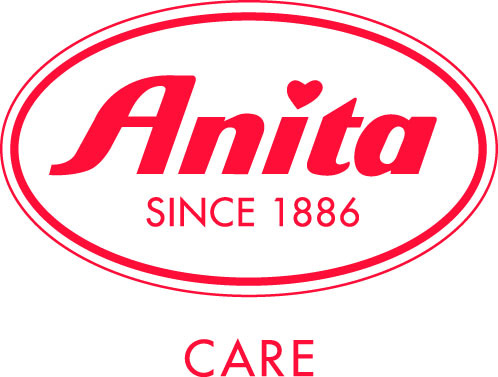 At Anita care are familiar with your needs in this special situation, and have the experience and specialist knowledge to help you along the way. Anita is the only manufacturer in the world who also makes silicone breast forms with a breathable, textile microfibre backing. What makes Anita breast forms special? They combine a natural design with extreme comfort. Uneven tissue is subtly concealed and lack of volume is gently compensated. You do not have to worry about feeling strained or restricted. Sensitive skin is not irritated. We offer you the solution which best suits your individual needs . Bras and swimwear articles are available for all Anita breast forms and compensatory solutions. Anita pocketed mastectomy bras and Anita breast forms complement each other perfectly as each article has carefully been created with the other in mind. Sufficiently high-cut neckline for reliable support. High-cut panel between the cups and a close-fitting, stretch neckline to hold the breast form perfectly in place..
Cups designed especially for Anita care breast forms and compensation aids. Stretch straps which are adjustable at the back and are wider in the larger sizes. Wide, soft underbust band for firm support and maximum comfort. High-cut under the arms to cover any scar tissue. Anita swimwear design team is always up with the latest fashion trends which are incorporated in new models. The patterns are elaborated in their fashion atelier in close collaboration with the designers. The models are tried on regularly to ensure a perfect fit. The product is subjected to stringent quality controls from concept through to the final stitch. High-quality materials, including microfibre and fabrics containing Xtra Life Lycra, are integrated into the Anita swimwear collection. They stand out thanks to their light weight and high durability.